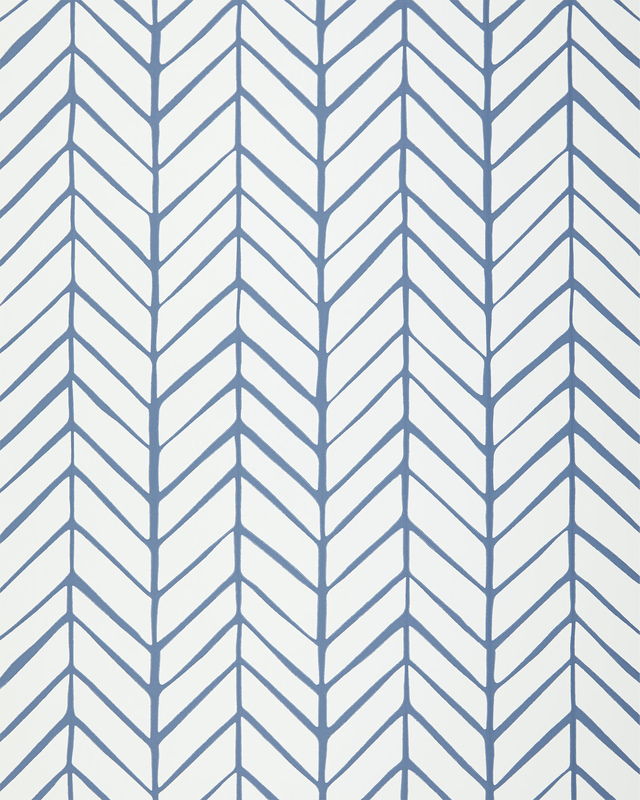 Feather WallpaperFeather Wallpaper, Denim alt="Feather Wallpaper, Denim"
Print Taking its cue from traditional herringbone and chevron patterns, our original design is both graphic and organic on pure white. 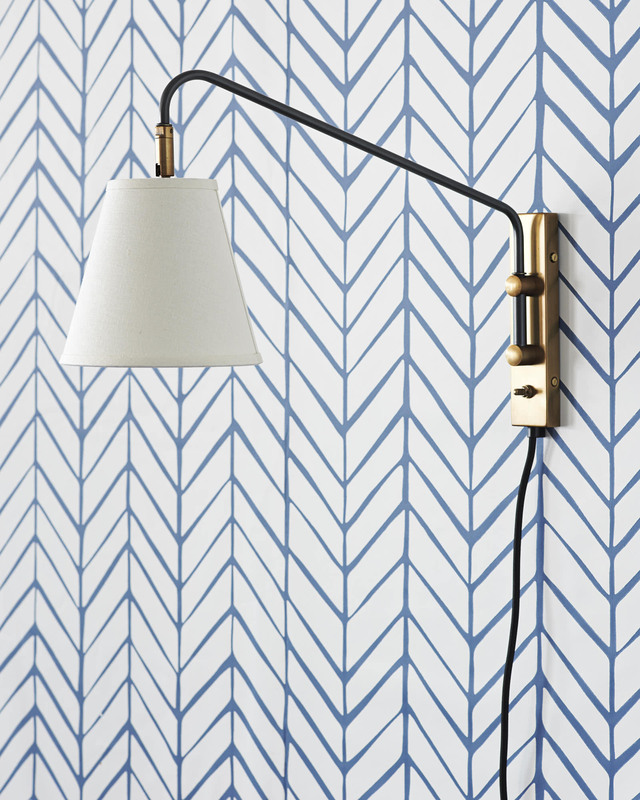 We love how the lines are perfectly imperfect, an effect that could only be brought to life to such exacting detail by one of the country's most historic wallcovering manufacturers. Each unpasted roll measures 27 in. 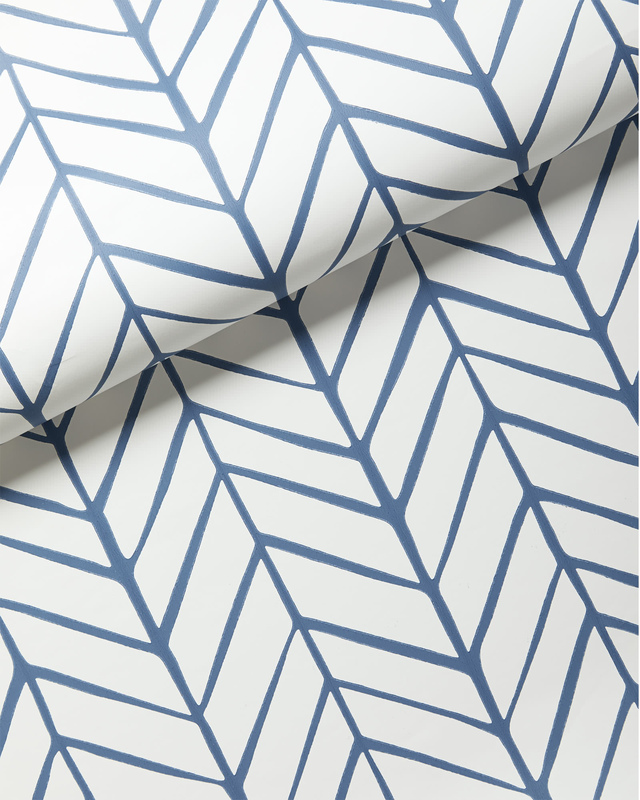 wide x 27 ft. long and covers 60.75 sq ft.
Pattern repeat: 25.25", straight match. Easy to wipe clean; perfect for the bath. 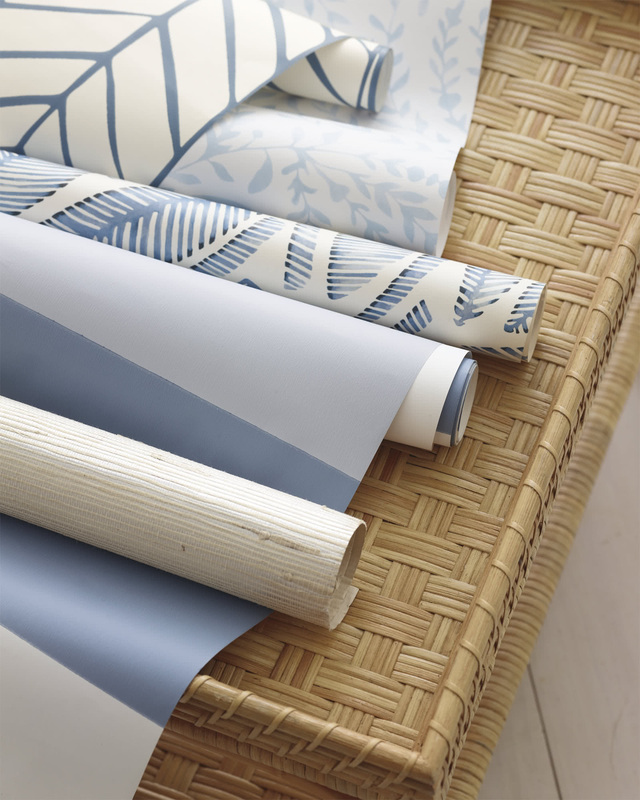 We also recommend using wallpaper liner (available at home improvement stores) on uneven or textured walls to create a smooth surface before hanging. 8" x 10" swatch available.